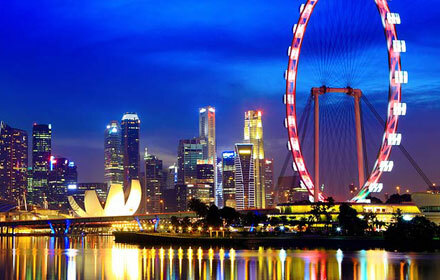 Embark your ship in Singapore. See stunning Kuala Lumpur (tours from Port Kelang) from the Skybridge of the majestic twin Petronas Towers, or tour the city’s architecturally varied surroundings. Discover the natural beauty of Langkawi, from white- and black-sand beaches to waterfalls and nature walks. Then see why Colombo, Sri Lanka, is the ‘Garden City of the East’. 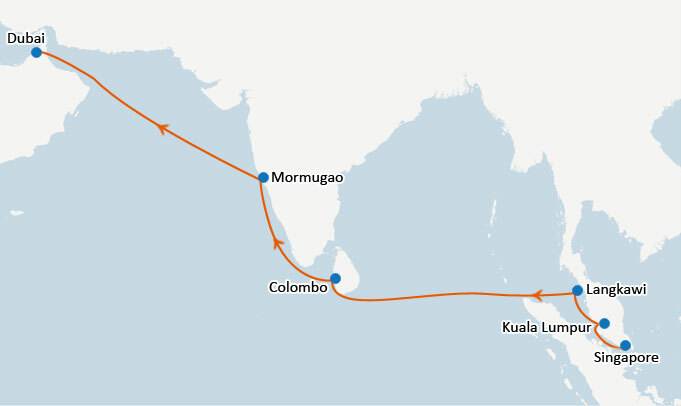 Next stop; Mormugao, India. Walk along the gorgeous beaches by the Arabian Sea or visit the Old Goa’s Portuguese colonial churches, and taste the spicy vindalho. 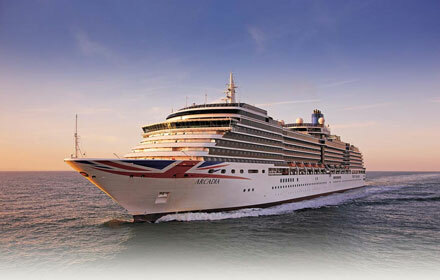 Exclusively for adults, Arcadia offers a relaxed pace, stylish surroundings and more than a hint of extravagance to P&O Cruises. 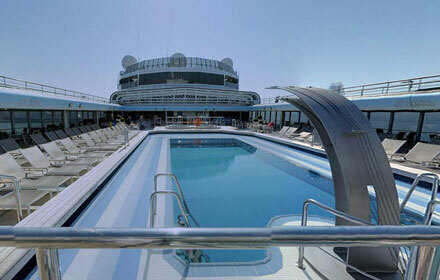 Arcadia’s signature features such as her exterior glass-fronted lifts and expansive art collection. Take a stroll up to Sky Deck and, in addition to great views you’ll find The Orchid Bar and Orchid Restaurant, a Select Dining venue which offers immaculately presented Asian fusion dishes; a treat for the senses. Arcadia’s wonderful spa which includes a large hydrotherapy pool and a thermal suite complete with fragrant aromatic showers. 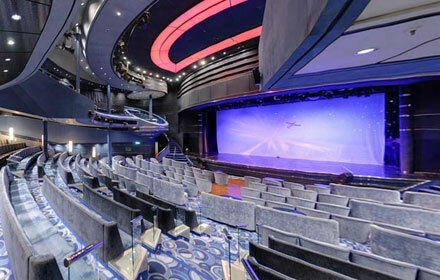 By evening, you’ll find spellbinding shows in The Palladium theatre, a lively casino, Electra nightclub and The Globe, offering anything from comedy to live music. Finally you’ll visit the futuristic desert-oasis city of Dubai, from where you’ll fly home? Port Klang, Kuala Lumpur 08:00 18:00 Day at leisure. Please call us for show excursion details. Langkawi 09:00 16:00 Day at leisure. Please call us for show excursion details. Colombo 07:00 20:00 Day at leisure. Please call us for show excursion details. Mormugao 07:00 19:00 Day at leisure. Please call us for show excursion details. At Sea -- --05:00 am Day at leisure. Please call us for show excursion details. Combining the chic with the classic, Arcadia offers a relaxed pace, stylish surroundings and more than a hint of extravagance. Arcadia’s signature features such as her exterior glass-fronted lifts and expansive art collection, featuring no less than 3,000 works of art, create a sophisticated air. Foodies will be spoilt for choice in the two-tier main restaurant, or for a treat Atul Kochar’s spice sensation Sindhu will set your taste buds alight. If you are a sports fiend Arcadia has many options. 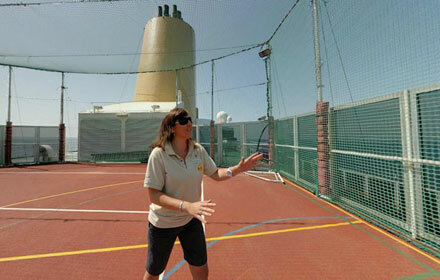 Arcadia’s Sports Court is situated at the stern of the ship on Sky Deck. Whether you enjoy the friendly competition of an organised tournament or prefer to play casually with your own party, short tennis, football, volleyball, basketball and cricket are just some of the options available in Arcadia’s Sports Court. And just aft of the Sports Court you will find the golf nets, where you can perfect your swing, using your own clubs or those provided. 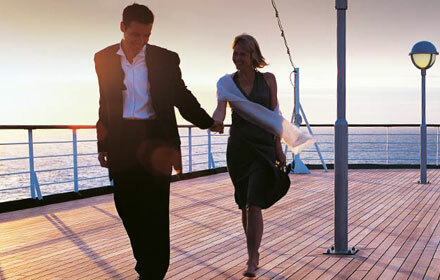 If an ocean view isn’t the be-all and end all for you, our inside cabins are an option. When three or four guests share a cabin with upper berths, the two lower berths cannot be pushed together for safety reasons. Step out of your cabin and feel the sea breeze in your hair. These spacious cabins are perfect if you want a more economical way to travel. This is luxury and space on a grand scale. More space, lots of little luxuries, and some perfect finishing touches. 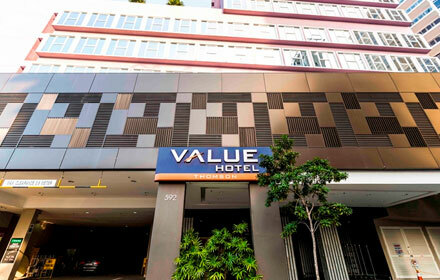 Value Hotel Thomson is located along Balestier Road. The air-conditioned rooms at Thomson Value Hotel come with modern décor and the room amenities include a tea/coffee maker. En suite bathrooms are fitted with hot shower facilities and toiletries. Breakfast is served at the on-site restaurant. A wide variety of international and local dishes are available. Travel and sightseeing arrangements can be made at the tour desk. Coin-operated laundry machines are available on site. Thomson Hotel is a 10-minute walk from Novena MRT station and a 15-minute drive from the Central Business District. Changi International Airport is a 30-minute drive from the hotel.